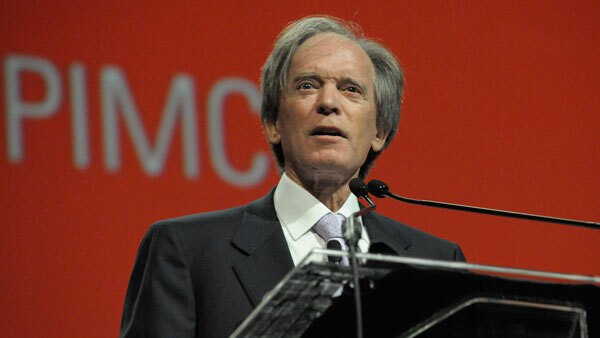 The new managers of the PIMCO Total Return Fund have been trumping former boss Bill Gross since he left the worlds largest bond fund. Gross is coming around to the view that interest rates will rise at midyear. The new managers of the PIMCO Total Return Fund have been trumping former boss Bill Gross since he left the world’s largest bond fund, boosted by an opposing bet tied to short-term U.S. interest rates. Following Gross’ surprise Sept. 26 exit, the trio that took over the $125 billion fund reduced its exposure to debt maturing within five years, according to filings. Gross went the other way on shorter-term debt after joining the Janus Global Unconstrained Bond Fund on Oct. 6, plowing two-thirds of its net assets into corporate bonds coming due before 2018. The two sides differed last year on when the Federal Reserve would begin to raise interest rates, with Gross signaling a longer wait than those who replaced him at PIMCO. Forecasting that the Fed would tighten as early as June, Total Return’s new managers Mark Kiesel, Scott Mather and Mihir Worah concluded that short-term bonds were overpriced and repositioned the fund, helping it to emerge from a two-year slump and outperform Gross’ Janus vehicle. Total Return’s new management team is betting that bonds coming due in seven to ten years will outperform those with both shorter and longer maturities. Agnes Crane, a spokeswoman for Newport Beach, California-based PIMCO, declined to comment on the fund’s changes. Erin Freeman, a spokeswoman for Denver-based Janus Capital Group Inc., declined to comment on Gross’ fund. The stakes are high for both firms. Gross, 70, needs to convince potential clients that he can deliver strong returns at a smaller mutual fund whose strategy and performance benchmark differ from PIMCO Total Return, where he built one of the industry’s best long-term records. His former employer must staunch $100 billion in net redemptions that Total Return has suffered since splitting with Gross, who co-founded PIMCO in 1971 and oversaw its main fund since inception in 1987. PIMCO Total Return beat 91% of intermediate bond funds by returning 2.6% from Sept. 27 through March 10, according to Chicago-based Morningstar Inc. The $1.45 billion Janus Global Unconstrained trailed 85% of nontraditional peers since Gross assumed charge on Oct. 6, declining 1.6% with dividends as of the same date. Prior to leaving, Gross had positioned PIMCO Total Return to profit if short-term debt outperformed medium-term bonds. The new managers unwound that wager in the fourth quarter, selling many of the investment-grade corporate bonds that could get hurt by rising short-term rates, including debt issued by American International Group Inc., Morgan Stanley and Bank of Nova Scotia. The fund kept high-yield bonds that are less sensitive to such rate movements, a Feb. 27 regulatory filing shows. At the same time, PIMCO Total Return entered into swaps with a notional value of $53 billion that would pay off if short-term interest rates rise. The firm exited $22.5 billion of swaps that lose money when short-term rates climb. At the Janus Global Unconstrained fund, Gross took the opposite approach to shorter-term bonds. Of the $975 million in corporate debt that he purchased in the quarter, more than 90% comes due by 2017, according to a Feb. 27 filing with the U.S. Securities and Exchange Commission. Gross, using options, futures contracts and interest-rate swaps, echoed his previous PIMCO wager by investing in 10- and 15-year Treasuries, while shorting 30-year bonds. The net result of the derivatives trades was a $2.2 million loss. The Janus fund traded futures “with the expectation that the long end of the yield curve would steepen while the short end of the curve would remain anchored,” the firm said in a quarterly shareholder report. The positions were performance “detractors,” even as energy investments hurt more. Gross has come around to the view that higher interest rates are likely at midyear as near-zero borrowing costs threaten to create bubbles in the stock and bond markets. “The Fed is willing at this point to at least acknowledge that by raising interest rates 25 basis points in June,” he said in a March 2 Bloomberg Television interview. –With assistance from Bob Brennan in New York.